Did you know? The CBC show Still Standing is coming to Pinawa! Johnny Harris (and his team) travel across Canada, finding the funny in the struggles of small towns to survive and thrive, and it’s Pinawa’s turn. The shows researchers are already busy, conducting video interviews with many of our residents (me included). They will be out next week scouting things out and talking to more people. Filming takes place May 9-13. If you see them around town, do the Pinawa thing and wave and say hello (but you don’t need telling). So, I know why Pinawa is Still Standing. I know what’s so special about our town that we have all chosen to either stay in or move to. What will they see? Can they Discover the Secret in the short time they have with us? I’m looking forward to watching the finished product, seeing what they see, sharing a laugh. Maybe one of my stories might make the cut, like that time a bear was chasing me on the Ironwood Trail. A friend drove by so I wildly waved for help. Mel smiled and waved back. Such a friendly town. Hopefully they’ll find a few Pinawa Pioneers to talk to. How many towns still have their founders around to share stories, that’s pretty special. Use the comment feature to share your Pinawa story with me. You never know, maybe you’re what they are looking for. 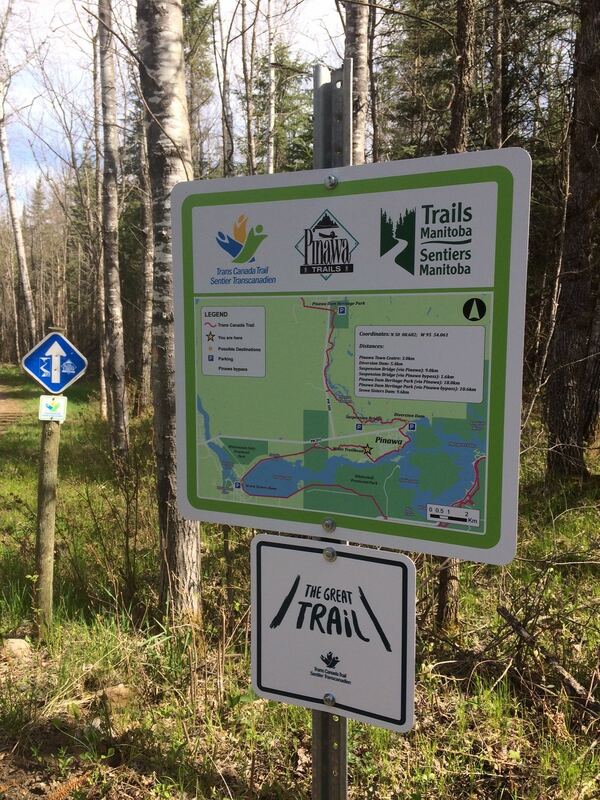 One Pinawa feature I want to make sure they see are our beautiful, world-class hiking trails. 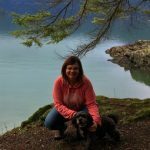 Please help me flood our trail with hikers while they are here. 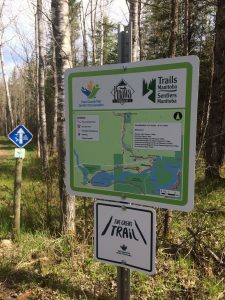 The Pinawa Friends of the Trans Canada Trail will be leading a hike on Saturday, May 11. We will meet at the Pinawa Club at 10 AM and hike out to the Diversion Dam. We will walk the circle that includes the Heritage Trail, Suspension Bridge and Ironwood Trail, ending back at the Pinawa Club. If you want to stay for lunch afterward send me an email donna@traillady.com so I can warn the restaurant.